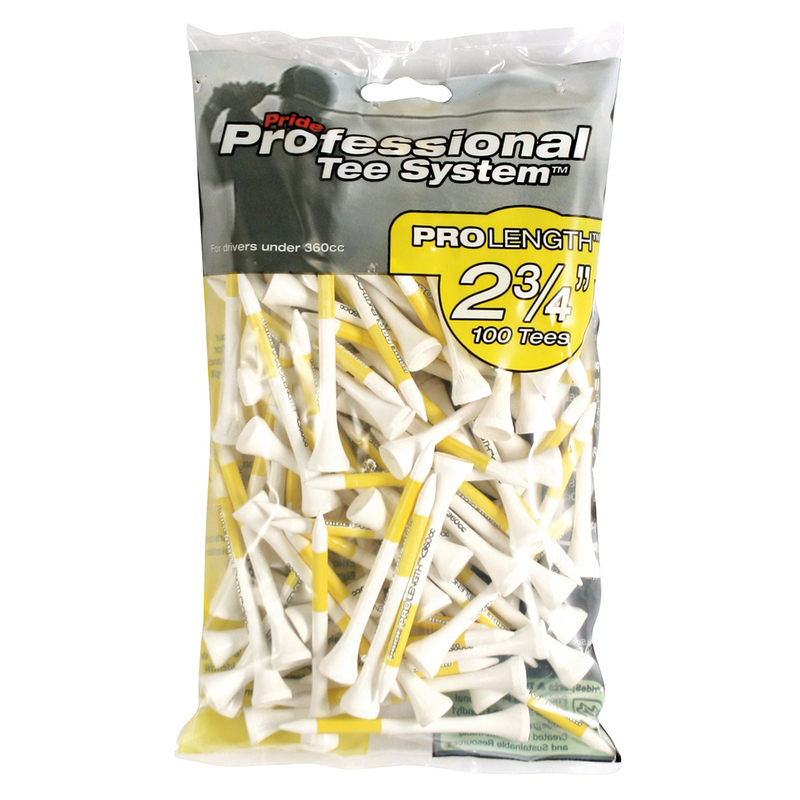 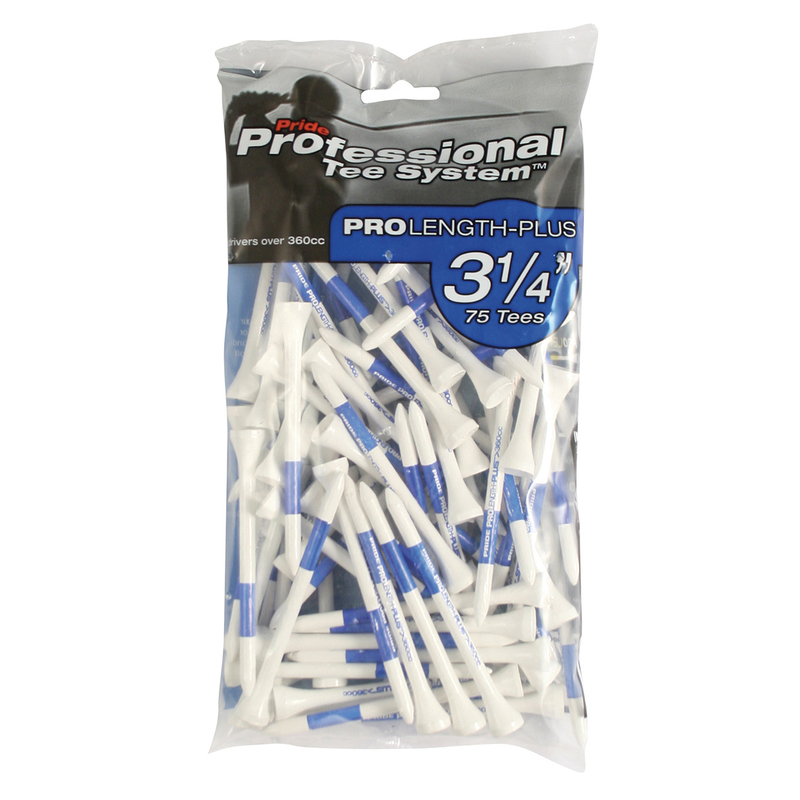 These wooden Pride Professional Golf Tees ensure you can tee up the right way. 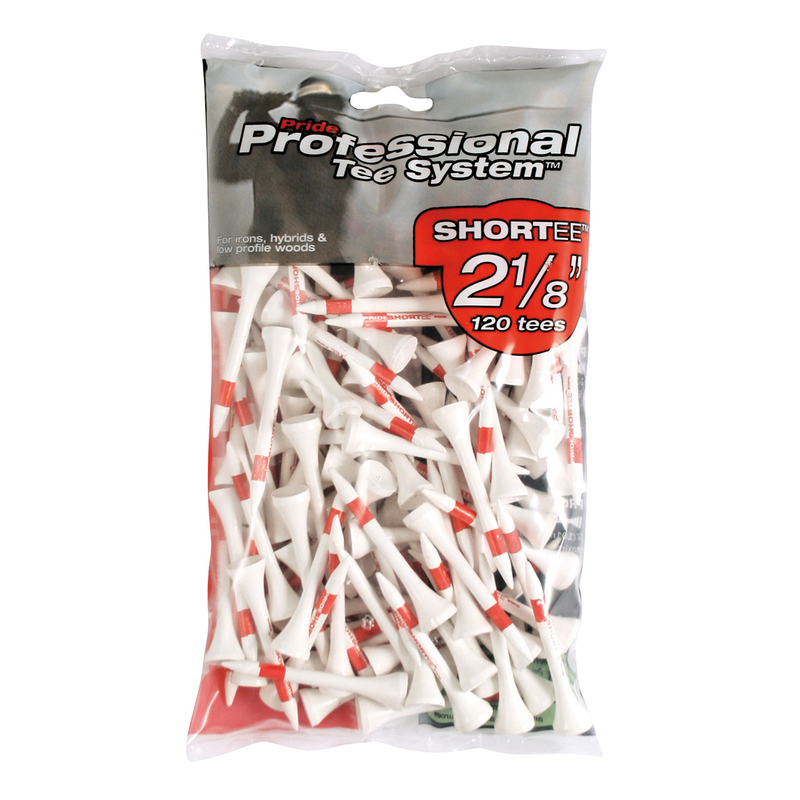 Utilising a colour-coded Pride Professional Golf Tee System, it’s easy to achieve the correct height for your drives based on your selected golf club and with a bold colour bar, achieving a consistent set up couldn’t be simpler. 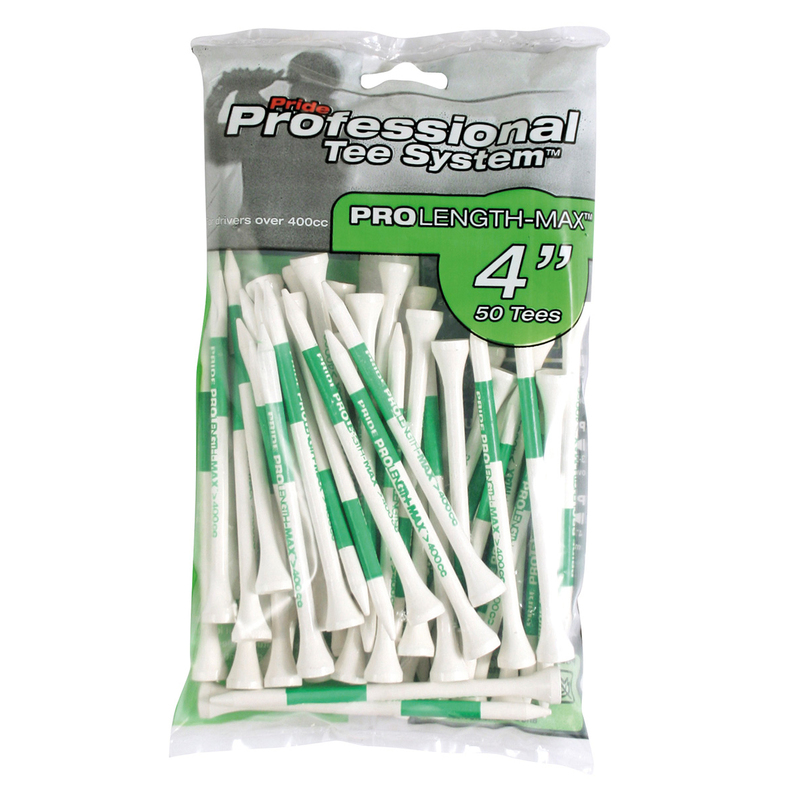 Pride Golf Tees are the most used tees on the PGA Tour thanks to their simple, yet highly effective design featuring a colour-code for easy identification of tee size and a colour bar to ensure consistent set up each time you tee your golf ball.